The scheme endeavours to provide regular income and capital growth with limited interest rate risk to the investors through investments in a portfolio comprising of debt instruments such as Government Securities, PSU & Corporate Bonds and Money Market Instruments maturing on or before the maturity of the scheme. There is no assurance or guarantee that the scheme’s objective will be achieved. Plans/Options offered The scheme would have two plans viz. Direct Plan & Regular Plan. Exchange Listing The Units under the Scheme will mandatorily be listed on NSE. Further, the AMC may at its discretion list the units on any Stock Exchange. *Exposure to domestic securitized debt may be to the extent of 40% of the net assets. The maximum debt derivative position will be restricted to 50% of the Net Assets of the scheme. The total gross exposure through investment in debt + money market instruments + derivatives (fixed income) shall not exceed 100% of net assets of the Scheme. Security wise hedge positions using derivatives such as Interest Rate Swaps, etc. will not be considered in calculating above exposure. The exposure to derivatives will be restricted to hedging and portfolio balancing as permitted under the SEBI (Mutual Funds) Regulations, 1996 from time to time. The Scheme shall not invest in foreign securitized debt. The Scheme shall invest in repo in corporate debt. The Scheme shall not make any investment in ADRs / GDRs / Foreign Securities and also shall not engage in short selling /securities lending. By clicking on submit button, you hereby declare that the details provided i.e. 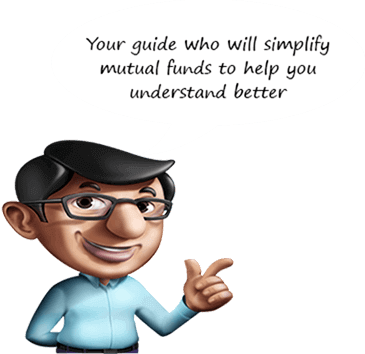 your name, phone number email id and city are your own and you authorise SBI Mutual Fund, SBI Funds Management Pvt. Ltd. and/or its authorized service provider(s)to communicate Mutual Fund scheme related matters/documents and other information related to the investment products.